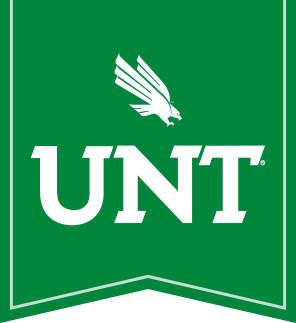 The Writing Center at the University of North Texas provides support for undergraduate and graduate writers across the disciplines. Our mission is to help students improve as writers at all levels, and we support a culture of teaching and learning at UNT through peer tutoring, interactive workshops, classroom support, and consultation with faculty and staff. Every writer needs a careful reader. Our primary job is to read and listen - to take in someone else's writing and give it an informed audience. We ask lots of questions - questions to help us understand the writing, to understand what is going on with the assignment, and to learn more about our students. We value talk about writing and we encourage our students to talk. Research shows that collaborative talk about writing is key to helping writers improve. This "meta" talk about writing is powerful as it helps us to understand our writing as an entity outside of ourselves. Collaboration also helps us to develop our ideas and to better imagine our audience. We value the student more than we value the paper. We prioritize getting the student engaged and involved over getting through more of the draft. We "talk off the page" and check for comprehension; we look for opportunities to connect this piece of writing to other kinds of writing the student has done or may do in the future. We seek to create better writers, not just better writing. We understand that what a student knows about writing or about the topic is not limited to what is in the draft. Good tutors can help students express their ideas and clarify their ideas, and they understand that not all of those ideas make it on the page right away. Often, tutors can help students get in touch with what they already know about writing. We are curious about unfamiliar areas of study and new ideas, and we share our enthusiasm for learning. It's not our job to know about every subject, but it's very difficult to work closely with student writers without picking up new information. If we are interested in learning more about our students' topics, we will be even more effective tutors.